Today’s child care providers need to provide a high quality learning experience for every child in their program. Child care providers supply the framework to equip children with the skills they will utilize as they negotiate their path through the educational system to become productive members of society. 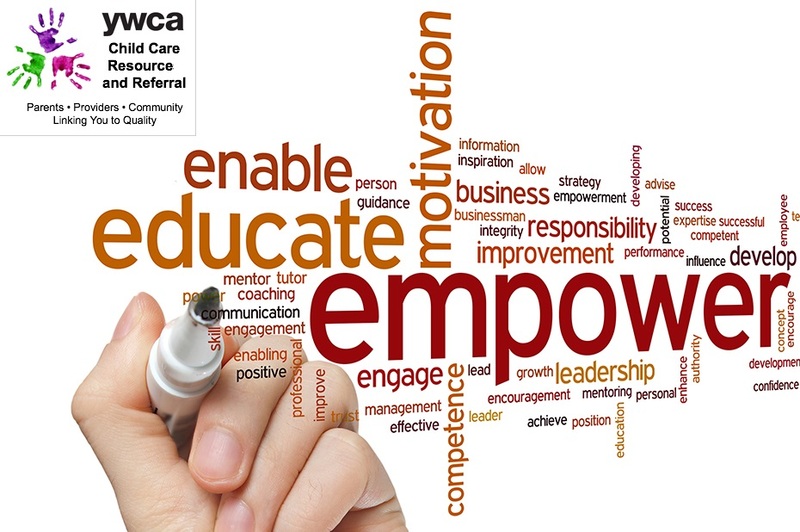 As the designated child care resource and referral agency for the Northwest Ohio region, the YWCA Child Care Resource and Referral is your foundation for information on early care and education. At the YWCA Child Care Resource and Referral, we assist families, child care providers, employers and other community agencies in defining and attaining quality child care. We are the largest provider of training and technical assistance for early childhood caregivers and teachers in this region. The YWCA also offers a multitude of trainings and technical assistance for the Step Up To Quality tiered rating system. Our Specialists can assist child care providers with questions about infant, toddler, preschool, after school and administrative issues. Are you interested in attending amazing training events that are applicable to your everyday work? Looking for a wide variety of Ohio Approved courses on trending topics in early care and education? Visit the newly launched YWCA CCR&R of Northwest Ohio Event Website to view the latest and greatest Professional Development being offered!